We have talked in many of our articles about the importance of energy saving and conservation and we have so far described a number of techniques and given you dozens of tips on how to go on about achieving it. Some of the tips and techniques we have talked about come with a high initial cost but have a good return on your investment. Some other energy saving tips have minimum or no cost and can be easily implemented by most of us. In this article we will have a look into the most important energy saving conservation tips and techniques for home that you can easily put into action that will increase energy efficiency and at the same time save you money! The incandescent light bulbs have been around for more than 200 years and it is time to face it that their life cycle is coming to an end. Incandescent light bulbs are highly inefficient since 90% of the energy they consume turns into heat with only the remaining 10% turning into light so they actually have a lot more in common with a toaster than with a lighting bulb. 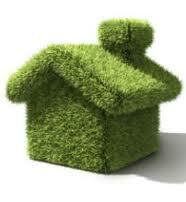 Thus replacing them is a good first step into making your home eco friendly . On the other hand energy efficient light bulbs might need just 10% of the energy that incandescent light bulbs need. So there are definitely a significant energy savings from replacing your old light bulbs but keep in mind that energy efficient light bulbs such as LED fluorescent and halogen come at a higher cost but have a higher lifetime so you have to do some calculations based on how many light bulbs you are replacing if you really want to get a good estimate on your savings. Of course this is only the financial benefit that you have the other great benefit is the reduction of your carbon print which can prove priceless for yourself and future generations. Finally note that the phasing out of incandescent light bulbs starts in 2014 whereas in Europe the end of incandescent light bulbs is already a fact. We have all felt cold while indoors with the heating on either in our own houses or in a friend’s house. One main reason for such phenomenon is the poor insulation that some houses have so sealing air leaks might be a cheap step in making your house warmer and more energy efficient. If you want to get more details on home insulation then you might want to refer to our home insulation tips section. Did you know that 4 out the 10 cents you pay for heat loss are a result of old inefficient windows? Getting star rated windows to replace old inefficient can be a good a step in lowering your heating as well as your cooling bill. Hence if you really want to replace your old windows then you should aim for ones with a low rate of losses (which is measured by the U – factor) that will result into a better resistance to the heat flow giving you a much better insulation level. To give you a better understanding about the U factor keep in mind that a good double glazed window has a U factor smaller than 0.3 and that a great triple glazed window has a U factor of 0.15. Note though that you should not base your decision on a logic the lowest the U facto the better. Depending on the area you live a different U factor is recommended and as a matter of fact ENERGY STAR provides guidelines for suitable U-factor for different areas. Finally check with the vendor if your house and area is eligible for a tax return scheme and factor that into your decision making process. This is a not an easy to follow tip for everyone since different people have different tolerance to cold so do not take such measures if you cannot handle cold very well. 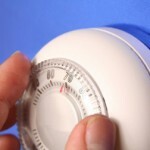 Lowering the room temperature a little can come with a great financial benefit since the lower the indoor temperature difference is from the outdoor the less energy you consume. Getting a programmable thermostat that you set at a lower temperature while you’re out of the house or during the night can do miracles in reducing your electricity bill. Read more in our articles Energy Saving Tips for Winter and Saving Energy Tips for Summer for some great seasonal energy saving tips.